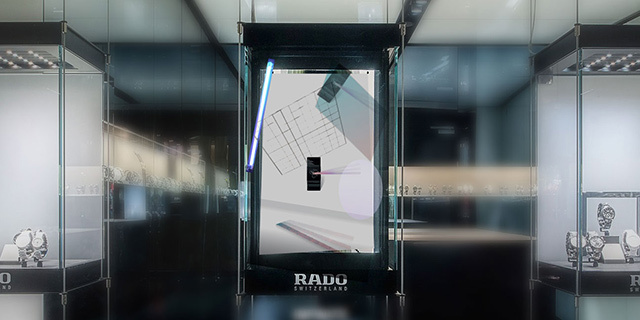 The project by designer duo Emanuel Gollob & Johanna Riedl is named «(T)Raum und Zeit» (Dream Space Time) – by fracturing its materiality, analog time is translated into a new, abstract form. 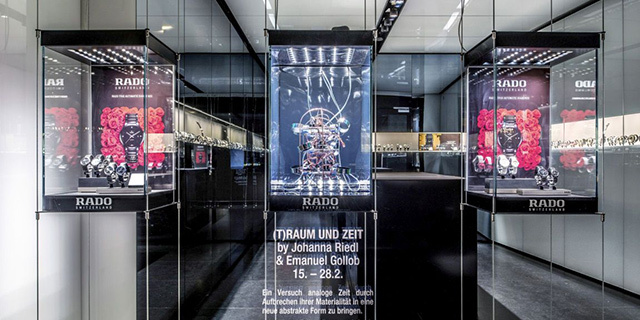 The installation shows an object with six moving watch hands which is reflected, distorted and multiplied by mirrors and iridescent surfaces in the display window of the Vienna Rado Boutique. The project is on display at Kärntner Strasse 18, Vienna, until the end of February 2017. This is the message of the installation &laquo;Dream Space Time&raquo;. The space-time continuum designates the fusion of space and time in a unified four-dimensional structure. 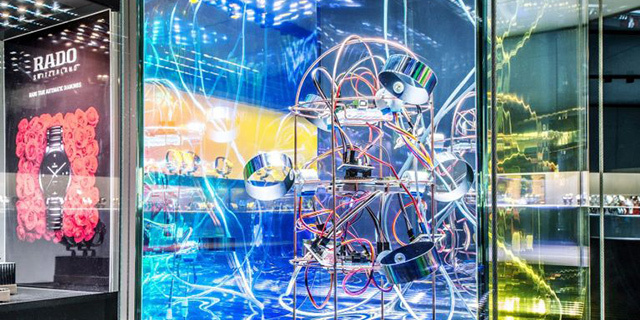 The installation is an attempt to &ldquo;dream&rdquo; analog time in disaggregated shapes by bursting apart its materiality. 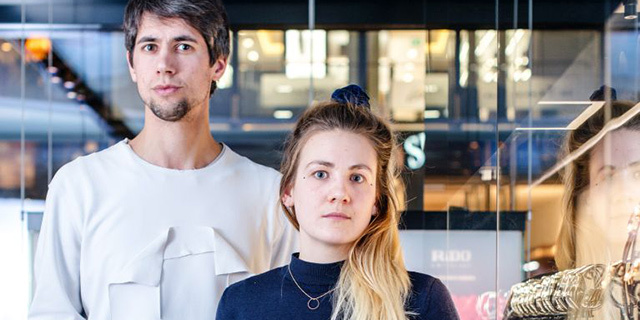 Artist-designer duo Emanuel Gollob and Johanna Riedl have been collaborating on interdisciplinary projects since 2012. Their creations reflect their fascination with contemporary societal phenomena and the technical innovations associated with them.